What's the Difference Between a Range, Stove and Cooktop? 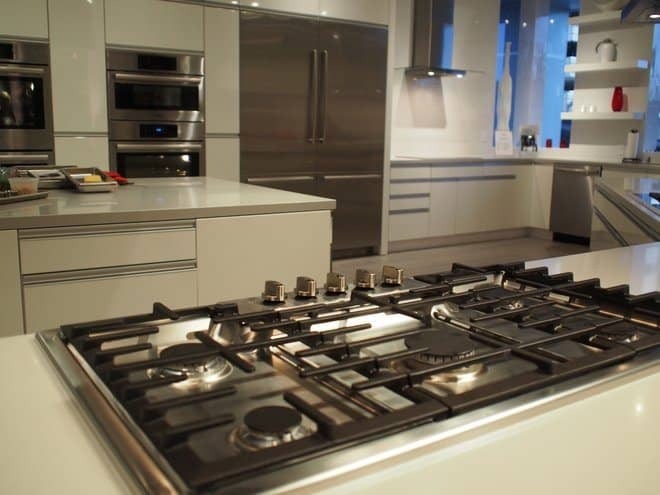 A common question among homeowners is, “What’s the difference between a range, stove and cooktop?“. The word range and stove are used interchangeably. A range is a one-piece unit that includes a cooktop area with zones that cook using gas, electricity, or induction. Below the cooking area is the oven. The majority of ranges for use in the home are 30″-36″ in width. Commercial range sizes can go up in size from there. A cooktop is built into a counter and is usually paired with a separate wall oven. Cooktops can also be powered by gas, electricity, or induction to heat food. 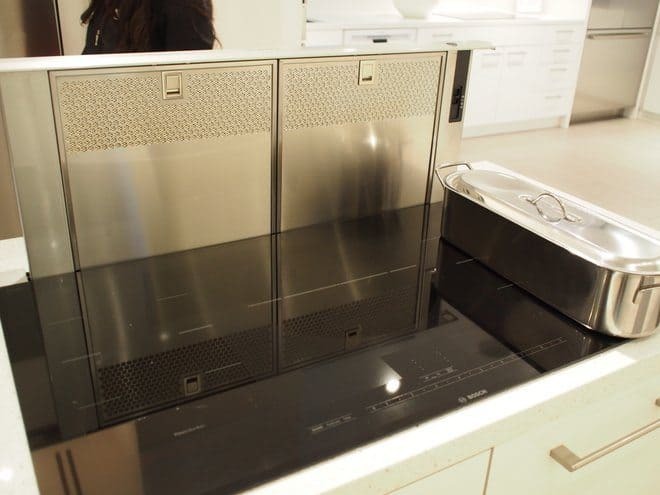 The cooktop sizes are also available in 30″ and 36″ sizes. A cooktop requires a cutout in the countertop where the cooktop can be “dropped” into the hole. A range requires a break in the length of a countertop, so you’ll have two separate pieces of countertop on each side. Deciding on what type of appliance you need is often determined by the type of cooking you do as well as the space available in your kitchen. When designing your kitchen you should also keep in mind exhaust options. Range hoods can be attached to the wall, hang freely from the ceiling (for an island), or be downdraft style (where they rise up vertically from the countertop and exhaust fumes into duct below the counter). We’ve had the pleasure of attending media events with Bosch and Miele in the last month and have learned a ton about appliances and kitchens in general. These two German companies manufacture top of the line kitchen appliances including dishwashers, ovens, ranges, refrigerators and cooktops. 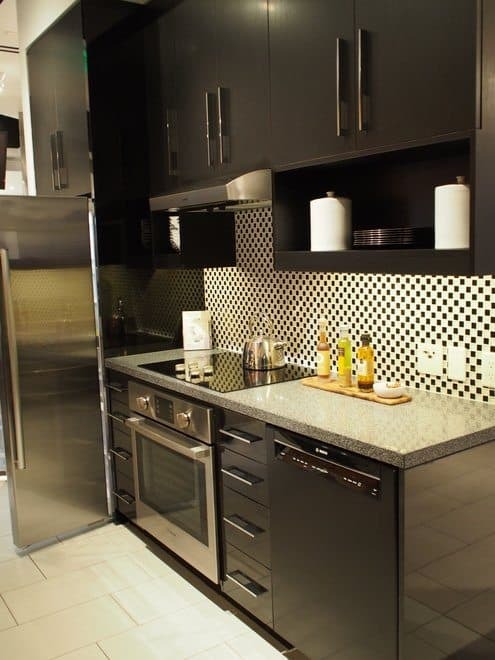 They provided us with a great education on everything about kitchens and we look forward to learning as much as we can about the most popular room in the home.